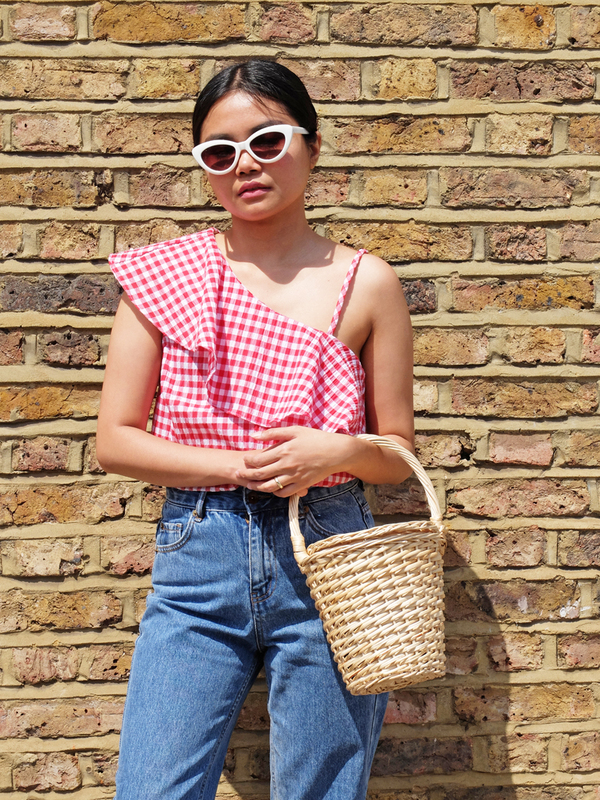 Reliving Spring/ Summer 17's biggest trend, now that it's officially sweater weather. 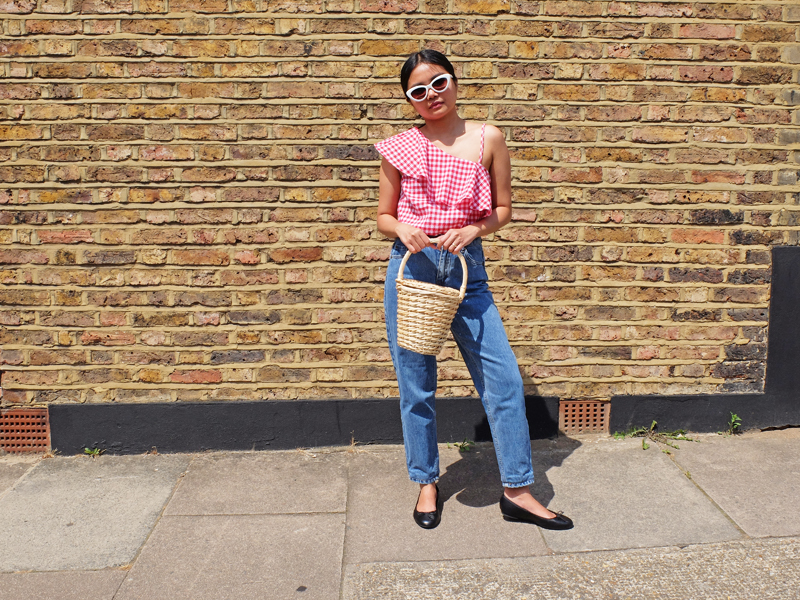 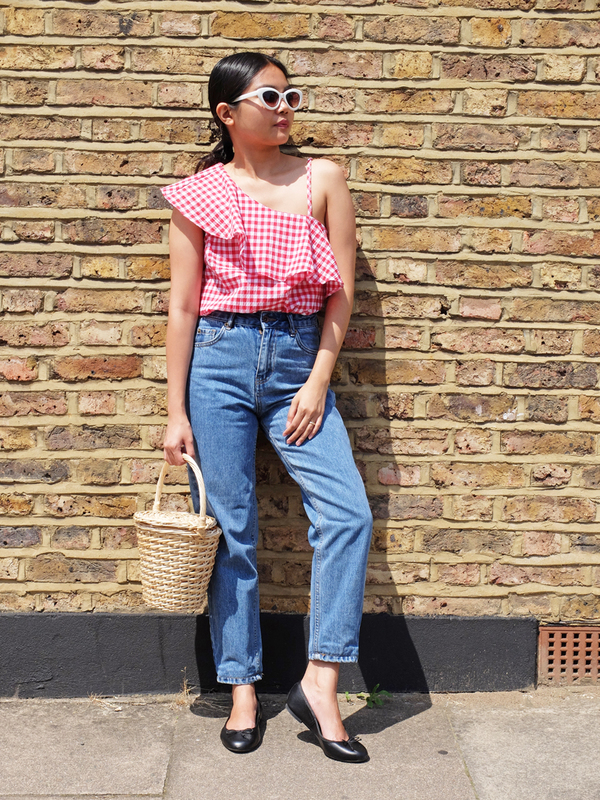 Temperatures have started to drop in London but before I pack away all my floral dresses and bardot tops, I thought I'd share this outfit featuring this red gingham top, one of my favourite high street buys from last season. 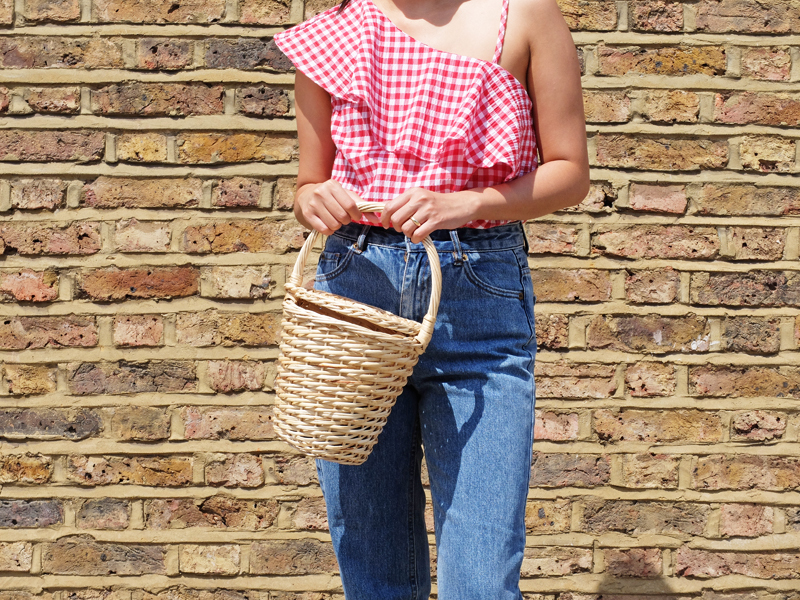 The one-shoulder detail, ultrafeminine ruffles and picnic blanket vibes— what's not to love? 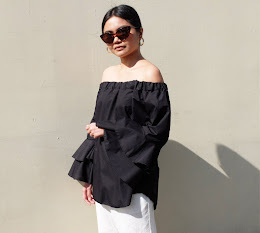 I also like that it requires little more than blue jeans and ballet flats to help you beat the Summer heat.